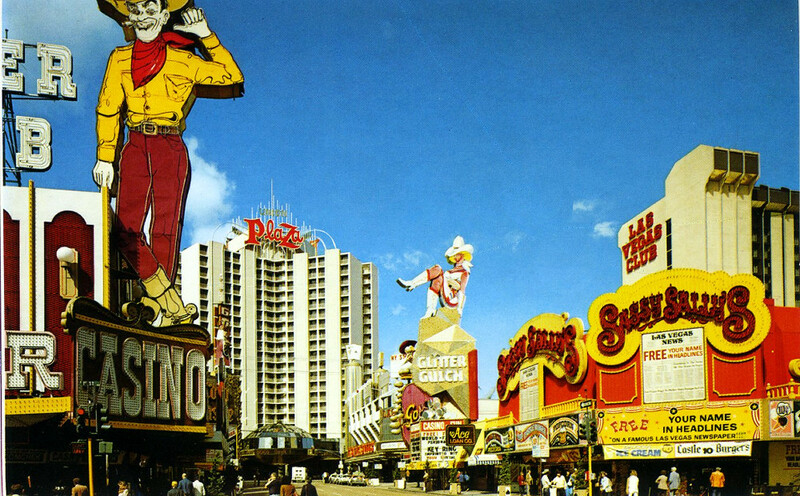 In 1981, Herb Pastor acquired the Sundance West Casino owned by Al Sachs and changed it to Sassy Sally’s Casino. Al Sachs had been named the General Manager of the old Aladdin Hotel and Casino on the strip thereby losing some interest in operating the Sundance West. Sally was the name of Herb Pastor's kids' babysitter and, yes, according to Pastor, she was indeed sassy! Pastor was expanding his gambling operations at the time and also acquired what was then known as the 20th Century Hotel and Casino on Tropicana (now known as Hooters). He changed it’s name and format to the Treasury Hotel and Casino and operated it for a couple of years before selling it to Gerald Philbin, a defensive lineman on Joe Namath's New York Jets Superbowl Championship Team of 1969. Since then, the location has changed ownership over and over. A year later Pastor would buy Glitter Gulch from Bob Stupak. 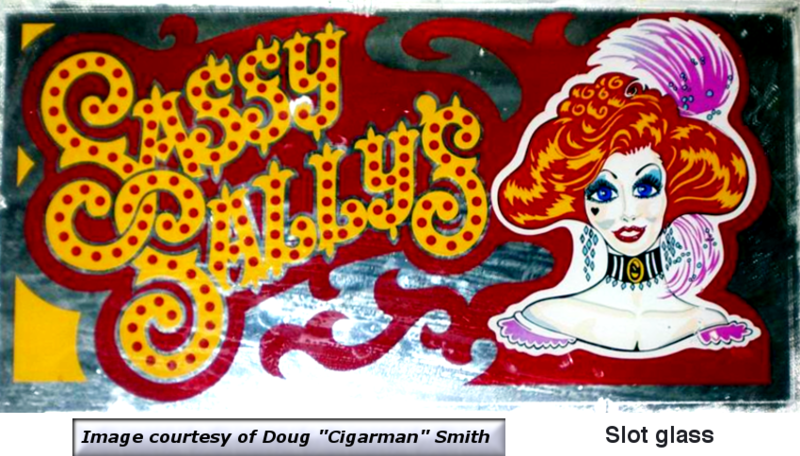 In 2000 Herb Pastor converted Sassy Sally's to Mermaids Casino. He also started the Coin Castle Casino and later converted it to the Louisiana themed La Bayou. unconditional licensee of both the Golden Goose and the Coin Castle Casinos. the current gentlemen's club "The Girls of Glitter Gulch." 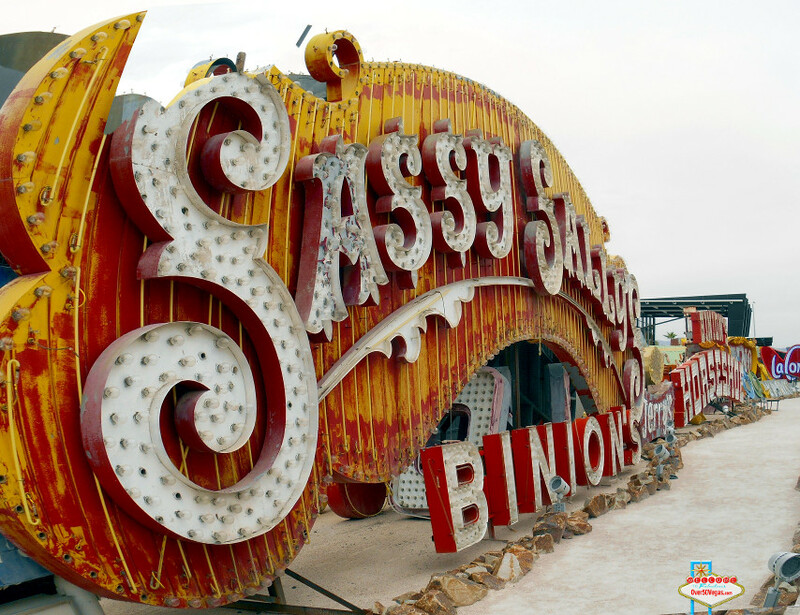 The old Sassy Sally’s sign rests along the Binion’s Horseshoe sign at the Neon Museum. I took this photo in October 2013.
courtesy of the collection of Doug “Cigarman” Smith. 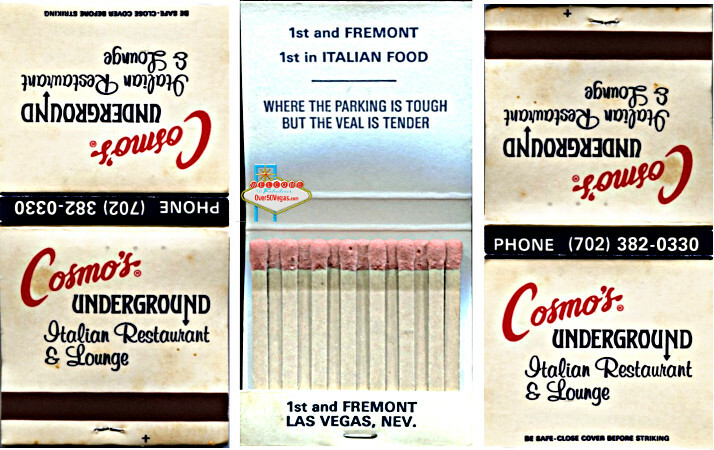 The entrance to Cosmo’s Underground Italian Restaurant was just west of what was at the time, Sassy Sally's. 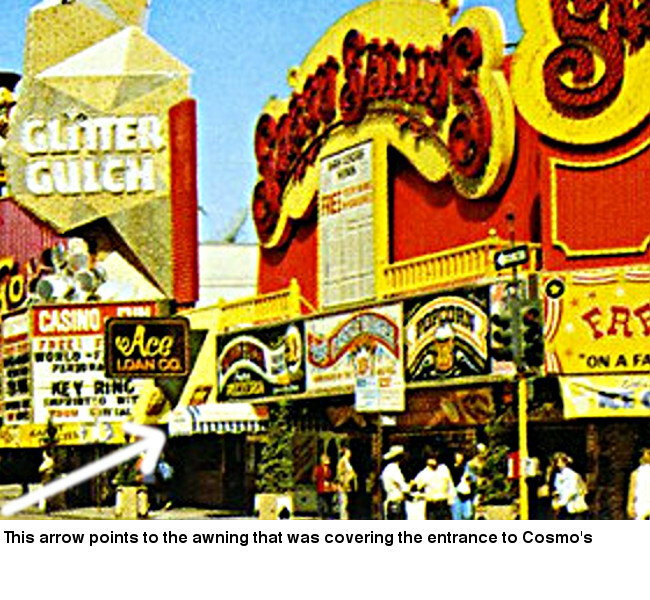 In fact it was actually in the basement of Sassy Sally's although the entrance was on Fremont Street. At the bottom of the stairs was a maitre 'd who greeted you, checked your reservation and showed you to your table. The place was dimly lit and the tables were adorned with checkered red and white tablecloths. The food was excellent southern Italian cuisine. A friend who visited there a few times in the late 1980's and early 1990's with his wife and her parents and aunt, who were frequent visitors to downtown Las Vegas, said his favorites dishes were the cheese ravioli and spaghetti and meatballs. During their visits they stayed at the nearby Horseshoe. The half block of Fremont Street from 20 to 32 Fremont has been home to quite a few important and recognizable businesses in the past. The little alley between the Las Vegas Club and the Golden Goose sign is part of the original layout of Las Vegas as surveyed in 1905. I took the picture below in October 2013 and the list shows some of the businesses that took up residence in this tiny patch over the years. 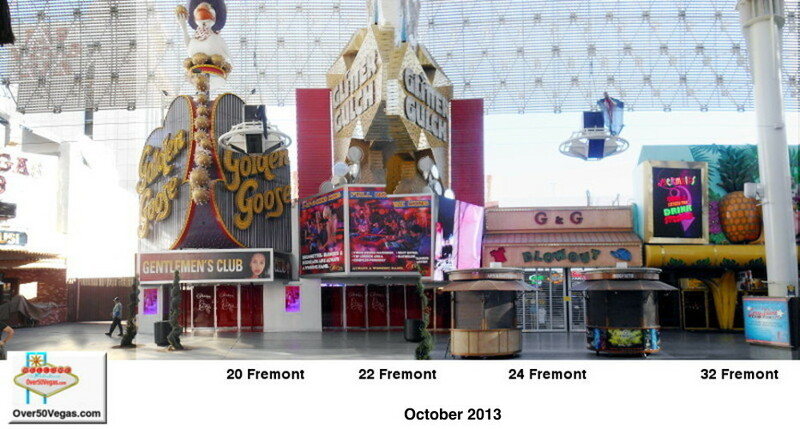 1st St. & Fremont St.
many times over the years. over the last 85 years.